Are you preparing for Competition Examination? How to prepare yourself to fight important or competition exams? 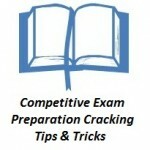 Are you looking for compaction exams preparation tip & tricks? Do you want to success in your upcoming competitive examination? If yes then you are on a right place for your answer. We are going to discuss some important points which are effective to get success in your any of compaction exam. By this article will help you out to make a batter strategic to preparation for the examination. Mental Preparation: The Mental preparation is necessary in competitive exams. So you first prepare himself mentally for competitive Examination. First Decide a Goal: After mentally preparation the Students shall be decide a goal and start preparation for achieve the goal. Don’t Fear from Exam and Be Confident: Candidate must leave the fear and keep free the mind before start the study and believe himself. You have be confidential, that gives more essential power. Know the Exam Pattern: Firstly search the exam pattern. Like as the question paper is Objective type or theoretical and there are negative markings or not etc. Know the Syllabus: After know the Exam Pattern search the syllabus of that exam, Like as subjects, topics etc. Time Management: The Time Management is playing an important role in Competitive Examination. Without time management you don’t studying the best. So give first priority to time management and make time management as perfect way and follow it perfectly. Arrange a List: Candidate arranges a list of all topics of Competitive Exams. The list can be arranged in order of Important, Simple, Average and Hard topics. Prepare a Plan Smartly: Prepare a preparation plan for a special competitive Examination. The Preparation Plan is necessary to get the success in competitive examination. Level of Questions: The level of examination of UPSC is high level compare to other exams. So UPSC examinations are require extra smart work. The level of RPSC examination is also high but less to UPSC examination. Civil Services Examinations: In civil services examinations there are three round of examination. Aptitude Test (Objective Type), Main exam (Written Type) and Interview (PI). So for these exams the candidate must be all-rounder in Objective type, written type test and PI. SSC: The Staff Selection Commission has either objective type or descriptive type question papers. It depends on the level of post. TET: The Teachers Eligibility Test is objective types, and there is also 1/4 negative marking, so attempt only whose question that you are sure. Know Your Strength and Weakness: Your strength and weakness is playing an important role in the Competitive exam. The Weakness is harmful for you in Competitive Exams. So you need to keep remaining of your strength and give some extra time to your weakness. Choose Good Atmosphere: The Atmosphere are play very important role in the CSAT exam preparation, so choose the comfortable place, there are you can feel relaxed and has concentrate. Give Importance to Night & Early morning Study: You try to do the study in nights/ early morning, because in night/ early morning you found the peaceful environments, and anybody can’t disturb to you, and in early morning you have fresh mind, i.e. you studying best. Take Healthy Breakfast: Take the Healthy breakfast, i.e. you feel energetic in whole day. Use Standard writer Books: The Candidate must be use the Standard writer Books in Competitive exams, because in local books come out many types of mistake/ misprint, but there are no any chance in Standard writer book. Clear the Basic Concept: First you finish standard writer books as these books will clear the basic the concepts of methods. You can also use the 11th and 12th NCERT books that are helpful to clear basic concepts. Prepare Short Notes: Prepare the short notes of each subject. The short notes are helpful in exam time revision. Revision: The revision is playing an important role in competitive examination. Revision is revising the previous study. Daily Practice: In mathematical subject/ topic daily practice is required necessary. The Daily practice is helpful to clear the basic concept of methods. Take Advice of Expert: The right advice is provides the right direction. Take the Advice of Expert if you don’t able to solve any problem or confuse in any problems. The Expert may be the Teachers/ Friends/ Relatives and xyz. Solve Previous Years Papers: The Candidate can be solved the previous years question papers to understand the question paper pattern & questions and improve the skills of paper solving. That is also helpful to improve the speed and accuracy. Solve Model Test Paper: Candidate must be needed to solve the model test papers. By the solving of model test paper candidate must be increase the capability of question paper solving. Speed & Accuracy: In competitive exam the speed & accuracy is necessary. The speed is helpful to attempt maximum number of questions, and the accuracy is helpful get high score in exam. To check and improve the speed & accuracy give online mock test. Clear the Doubt: The candidate should be clear the doubts with the study, and focus more on basic concepts. Candidate must use the standard writer books, which are helpful to clear the doubts. Touch with Current Affair: You should touch with current affairs through books, note books, PPT, magazines and news papers etc. Use Standard Writer Books: The candidate shall use the standard writer books for any competitive examination. The standard writer books are help to easily understand the topics. Skip Difficult and Unknown Questions: First check the negative. If there are negative marking then skip the difficult and unknown questions. Else attain all question but in the end of exam. Out of Syllabus: If in examination paper there are came any questions in out of syllabus, then you must attend that questions. In mostly cases full marks are awarded for such type of questions. Take Short Break: The student take short break in regular study. In this short break you can walk in your home ceiling, you can watch TV etc. Last Time of Exam: In last time of exam student wouldn’t studying the new topic. Student must be needed to studying by short notes. Time before the Exam: You must be close your books one hour before of exams, don’t read anything. And also feel relax and Stress free. During Exam Time: Check the all thinks that require in exams, i.e. pen, pencil, rubber etc. In exam first solve the theoretical question. After that solve the logical questions. And at the end solve Mathematical question. Answer of Numerical Question: Write answer separately in the next line of in numerical questions and mathematical subjects. The Answer Sheet should be Neat & Clean: In Competitive Exam time the answer sheet should be neat & clean. It makes good effect in examiner. Check Your Answer Sheet: At the end of examination check out all details of Answer sheet, that the filling information is right or wrong. In case of wrong information the answer sheet will be rejected by the teachers. After Completion of Exam Paper: After completion of exam checkout the mistake that are happened by you in exam, and don’t repeat in next exam.